Corporations are continuing to commit financial suicide by betting against President Trump and making decisions based on political ideology. 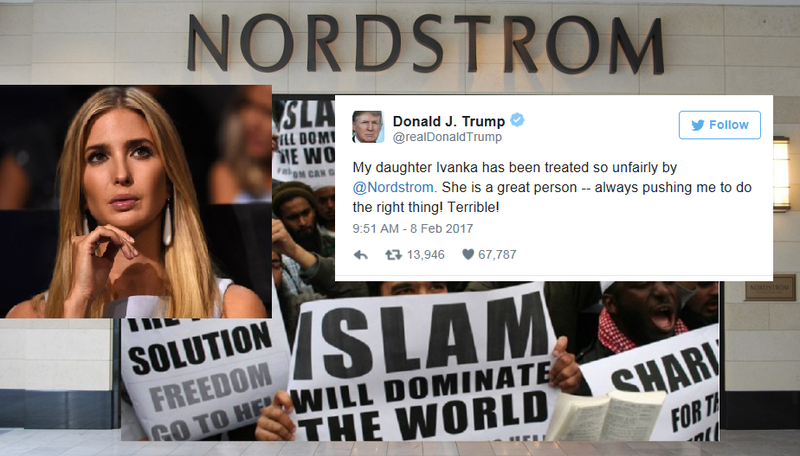 Nordstrom executives sent a political memo to their employees days before dropping the Ivanka Trump product line from their nationwide stores. "The presidents of Nordstrom sent an email criticizing President Donald Trump’s ban on immigrants from seven Muslim-majority nations entering the United States just days before the retail giant dropped Ivanka Trump’s clothing line. In the note, brothers Peter, Erik, and Blake Nordstrom told employees of the company that they would do all they could to help those who might be impacted by the ban while celebrating the many things the immigrant community have contributed to the retailer over the years. The Nordstrom brothers also pointed out that the company was founded by an immigrants, their great grandfather John.